Google announced Wednesday that it acquired several technology assets from Twitter, most notably its Fabric mobile application development platform. Other assets going from Twitter to Google are the Crashlytics crash-reporting platform, mobile app analytics tool Answers, SMS login system Digits and development automation system Fastlane. Terms of the transaction were not disclosed. 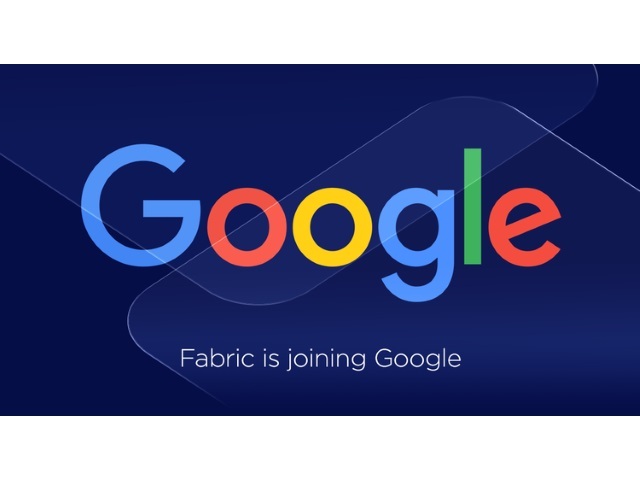 According to both companies, the Fabric team will join Google’s Firebase team, and Twitter will continue to maintain Digits during an unspecified transition period. When the acquisition is complete, Google will begin providing Fabric, Crashlytics, Answers and associated beta products under terms that you can preview. During a transition period, Digits will continue to be maintained by Twitter under its existing terms. As a popular, trusted tool over many years, we expect that Crashlytics will become the main crash-reporting offering for Firebase and will augment the work that we have already done in this area. While Fabric was built on the foundation of Crashlytics, the Fabric team leveraged its success to launch a broad set of important tools, including Answers and Fastlane. We’ll share further details in the coming weeks after we close the deal, as we work closely together with the Fabric team to determine the most efficient ways to further combine our strengths. During the transition period, Digits, the SMS authentication services, will be maintained by Twitter. Readers: What are your initial thoughts on this transaction?